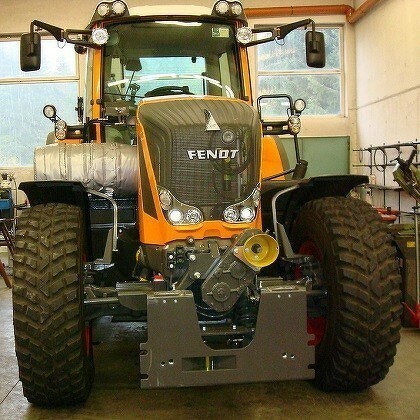 Fabrication of device mounting plate to any vehicle such as tractor or truck. 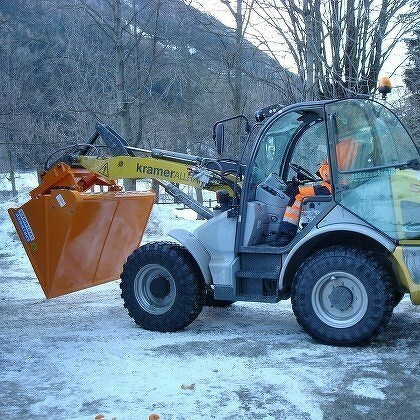 In addition we offer transfer gear boxes for tractors, so that special additional devices can also be operated as with the Unimog. 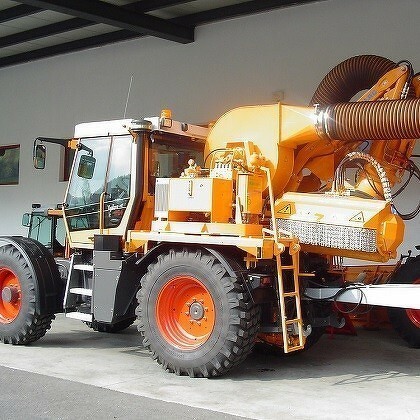 truck or Unimog with grit or salt at the same time. Mowing outriggers with integrated extraction of the cuttings and loading in specially designed trailers, pulled by the tractor. 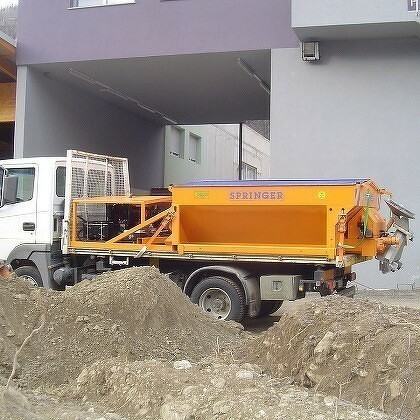 Split spreader with integrated oil supply, driven by gasoline or diesel engines for vehicles without PTO or oil supply. 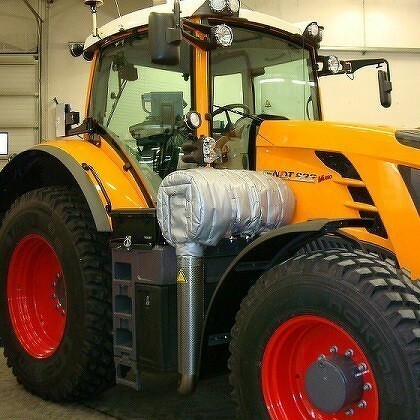 Particulate filter fitting for all types of vehicle complete with electronic monitoring from the cab. 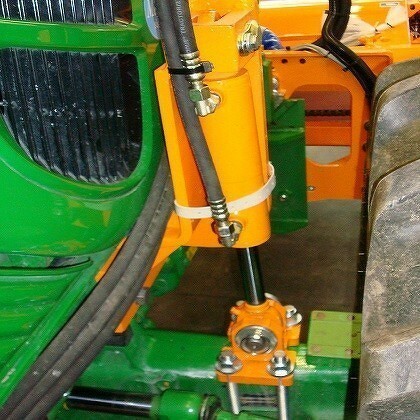 Axle support for tractors, which are equipped with front mowing outriggers. 3-side tipper platform on 3-point link in different sizes for mounting on tractors. 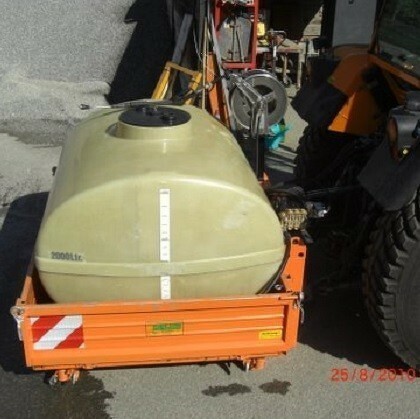 As shown in the picture with 2000 liter water tank and high-pressure water pump driven from the carrier vehicle.